Cruising is unlike any other holiday experience. There are so many parts to the holiday experience that make it so unique. First of all the fact that you sail on a ship rather than staying in a hotel or B&B make the experience totally unforgettable. Secondly the facilities on-board provide you with hours of entertainment and opportunities to meet lots of new friends, although hiding away in romantic corners is perfectly possible if you prefer to be left alone. Finally the fact that you will be visiting many different places on a single holiday makes it so appealing to people who love to travel and discover new ways of life. With so many reasons to cruise there is no surprise in finding cruises are considered to be one of the most luxurious holidays around. Having said that it is possible to find some incredible deals, and the whole adventure will provide you with excellent value for money even if you were to indulge in one of the more expensive packages. If you are new to cruising then you may wish to learn a little about what to expect. As I said, this is a unique holiday and so it is only natural to feel slightly anxious along with the excitement. Here are some useful tips on how to set off on your voyage fully prepared and ready for the new experiences over the next several days. Cruise ships are the perfect opportunity to dress to the nines and wear your favourite glad rags. In the day time the dress is casual, so don’t think that you need to be in high heels and cocktail dresses 24/7. You should check out the climate of the places that you will be travelling to. Remember a couple of swimsuits for the pool and beaches you may be visiting. Men will need a dark suit and if possible a tuxedo and smart shoes. Although money is sometimes considered to be a taboo subject, it needs to be addressed. On cruise ships you may have times when you need to tip, and this could happen when you spend time on land. Prepare for this by bringing some small change and if you have a mobile you can find some great applications to help you work out how much you should be tipping. Another great idea is to purchase a currency card. These provide great exchange rates, can be used for many different currencies and are a lot cheaper than most banks, who can charge large amounts for using your card abroad. On the boat you will be provided with a charge card which allows you to have any purchases charged to your room, the currency card will be helpful when you spend time off the ship. When you arrive at the ship you will need to bring along the relevant paper work you were sent in the post. Keep this close to hand so you do not have to riffle through luggage in order to gain access to the ship. Once your papers have been checked by one of the staff you will have your boarding card handed to you and the charge card. Do not be alarmed by the security check, this is for your safety. Everyone will need to go and have a Lifeboat Drill. Again do not be alarmed, it is best to be informed as to what you will have to do in case of an emergency. You will have your name checked off to say that you attended and even regular cruisers need to go for a drill. 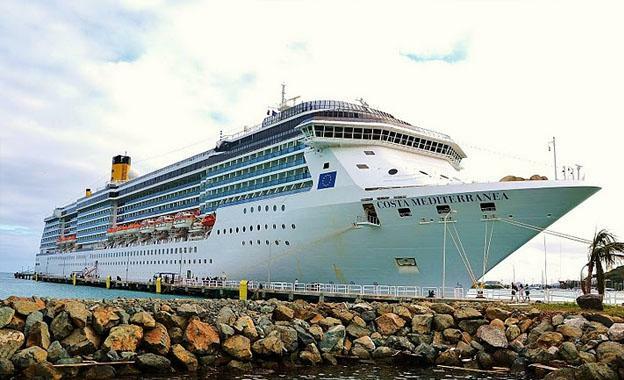 A cheap Mediterranean cruise is the ideal first voyage. Major Cruise is a great place to discover an amazing deal on any Mediterranean cruise. They provide you with multiple cruise operators giving you easy access to find the cruise to suit your budget. Come prepared for a cheap Mediterranean cruise and experience a whole new experience.